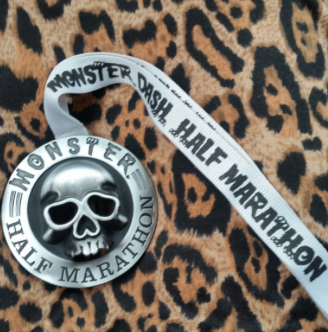 Monster Dash Half Marathon and Wknd Recap. Well hello there! Hope you had an excellent weekend filled with some Halloween-ish fun. I taught my spin class this morning and then rocked out with some strength work. Today is definitely a good day for Mr. Coffee. 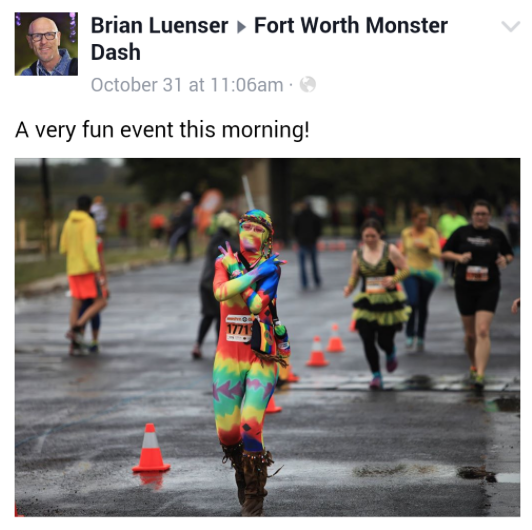 This past weekend I ran the Monster Dash half marathon out in Ft. Worth! It was a fun occasion and everyone went all out with their get up and costumes. Some of these folks I tell ya, I truly have no idea how they ran in those outfits. Temps were in the 60s and it was pretty humid out…but we had a bit of breeze on our side and some drizzles of rain. A storm came through the night before so part of the Trinity Trail was also a little flooded. But we went out and got it done anyway. For this race I was determined to fall under 2 hours. After running this hot half and this one not long ago…with both races being well over the 2 hour mark you could say I was out for revenge. I just wanted to run strong and have a good race despite the weather. The course was 2 loops total so it was fun running past so many folks in the back half. The pacers were awesome too and so energetic. Pace wise I held steady the whole way through and only slowed down a bit to jump over (through) dirt and HUGE puddles. The course had a few rolling hills too but was mostly flat. I squeaked in at 1:53…very much happy with that time. Still got it, I guess. 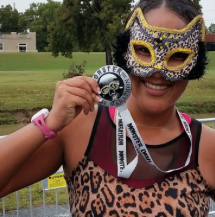 4th place in my age group out of 64 girls…not half bad! I really truly enjoy the half distance…it gives me a chance to work on my speed a bit and it’s just enough to allow for a quick recovery time after. It was a nice tune up race for Vegas 26.2 in 2 weeks. Bring on the Strip at Night. And of course the best thing post race…a blonde cerveza. Again I am not a beer person AT ALL but after a tough race sometimes a little sip does the body good. One of the best things about this race no doubt was the finisher’s jacket. 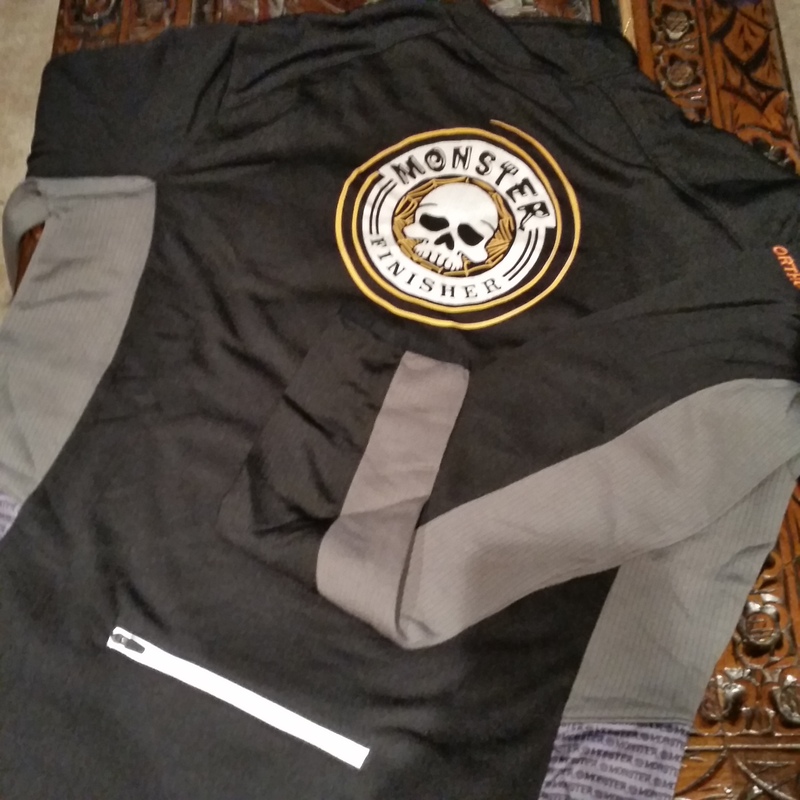 And yes…any runner’s swag with pockets and zippers is always my favorite. 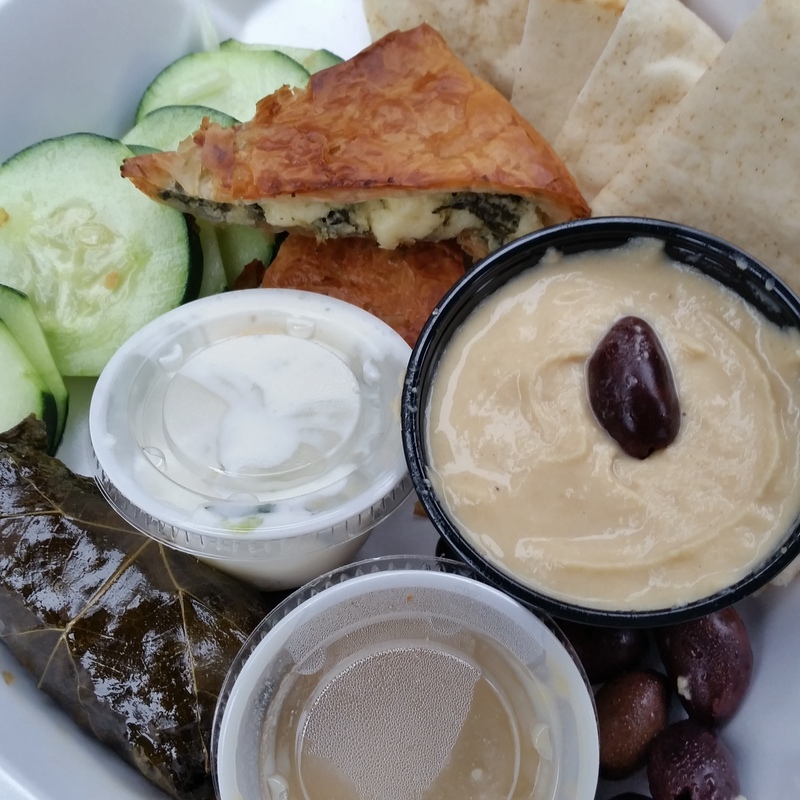 Post run eats…Greek food for the win. Best thing to dip in hummus hands down to me is sliced cucumbers. Sunday I went out for another run while thinking about my friends who rocked the NYC Marathon! I said a little prayer for them while the miles went by. 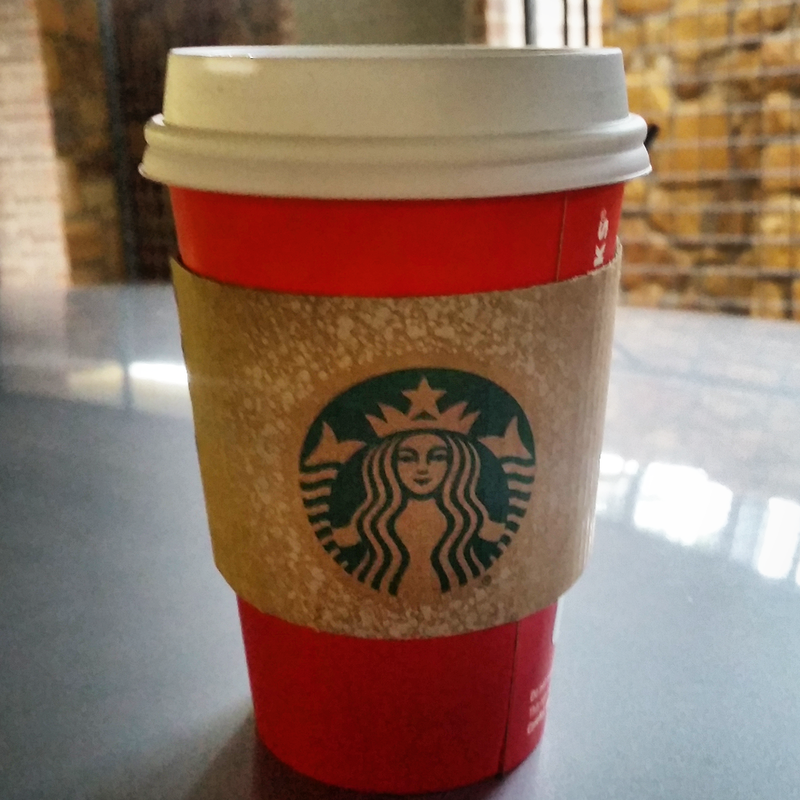 And I followed that up with my first Starbucks holiday red cup of the season. Soy latte with some extra foam. How was your weekend? 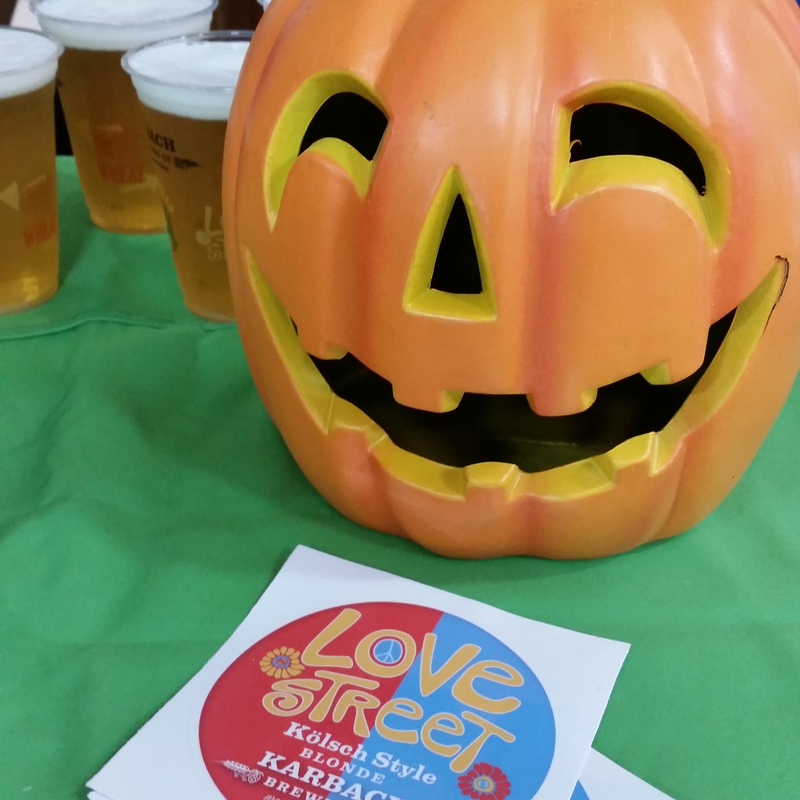 Did you participate in any Halloween fun? 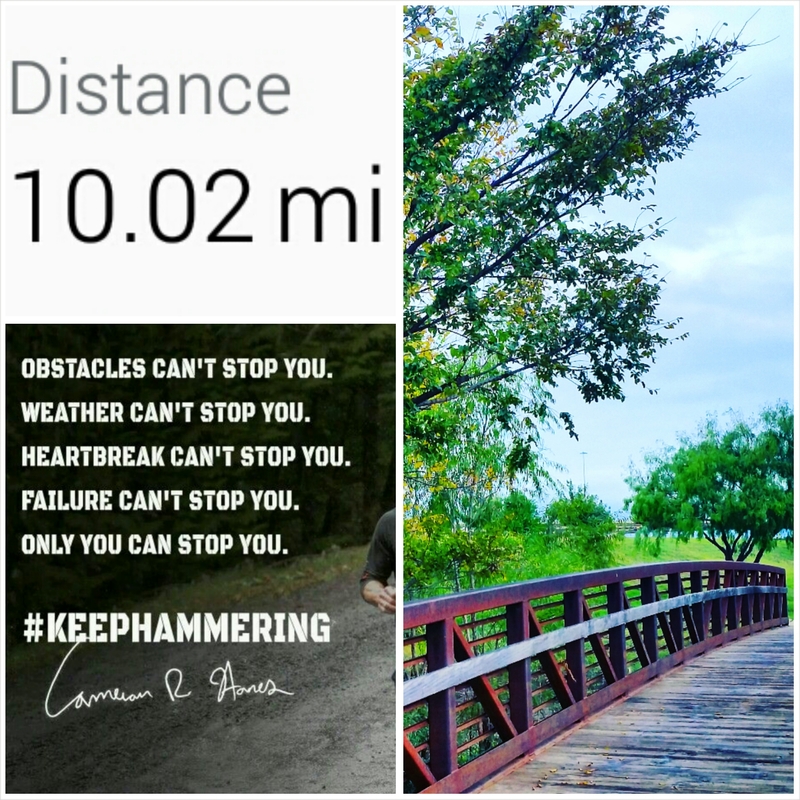 This entry was posted in Coffee, Half Marathons, Halloween, Running, Weekend by thedancingrunner. Bookmark the permalink. haha believe it or not we do wear (light) jackets! It was 50 degrees this morning. You are a rockstar and hellloooo red caffeinated cup! Yes! 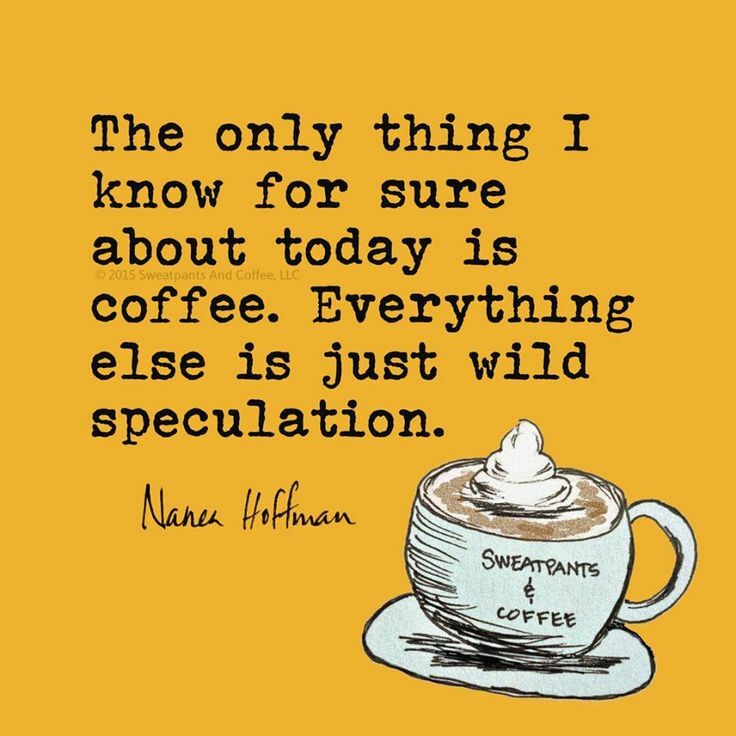 Caffeine for the win! Congratulations on that time and place! What a great accomplishment. Thanks! It was a nice benchmark race for my full marathon in 2 weeks. Yeah awesome swag is such great motivation! A jacket? How nice! 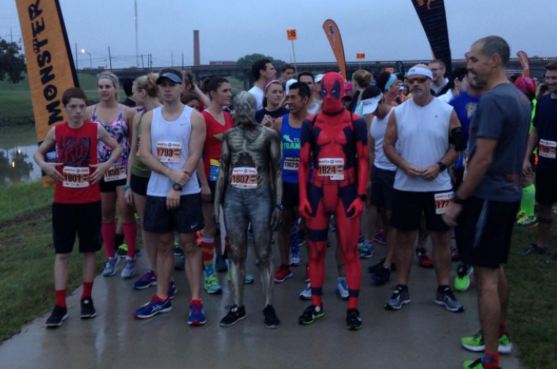 Halloween races are always so much fun. Finishing well is a bonus. It looks like you’re heading towards a great full. Thank you! Yeah I definitely enjoyed the festive run and people watching/seeing all of the costumes! So much fun!!! I am so jealous of all your fun races and swag too. I need to move to TX. The swag from this race was truly awesome!